Bernhard Ten Brinke has finished the stage in third place, 1’20’’ behind the winner. 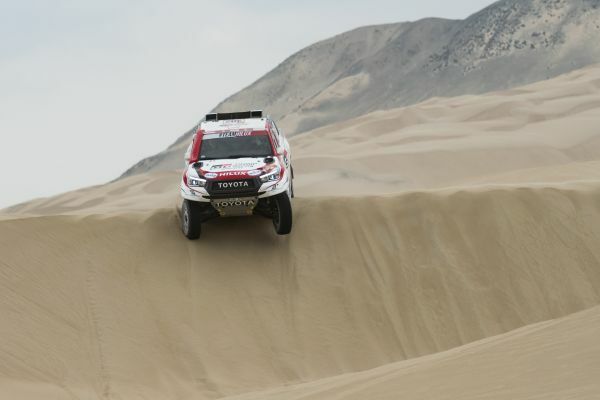 However, Giniel de Villiers (who finished 4th) is the day’s big winner, because the Toyota driver has taken command in the general standings in front of his Dutch rival. Orlando Terranova is currently being looked after by the medical team. The Mini driver is in trouble with back pain and is being transferred to hospital in Ica. The Argentinean will not be around to see the finish of his 13th Dakar. 09:55 Loeb wins by a whisker! 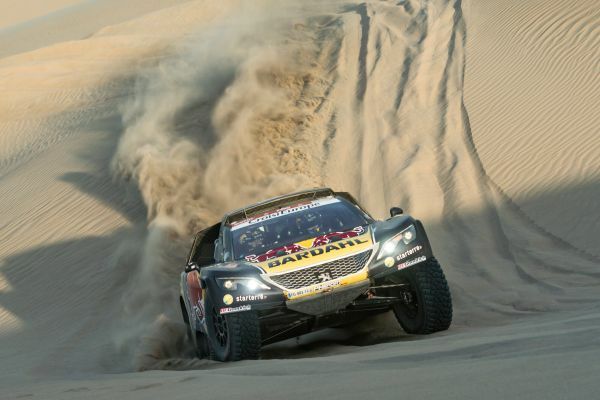 Sébastien Loeb has won his first special on the Dakar 2019, and his 11th in total on the rally. The Peugeot driver just managed to hold off Nani Roma over the final few kilometres, finishing merely 8 seconds in front of the Spaniard. Ricky Brabec is another man on form at the beginning of this edition of the Dakar. Following a good special yesterday, the American is on the attack today and has been the fastest rider so far to complete the first 50 kilometres. The HRC rider leads 2018 Dakar winner Matthias Walkner by only 10 seconds. Toby Price, however, has had more trouble finding the right pace today and already lags behind the leading men by 3 minutes.